Marko Bjelonic | Marko Bjelonic is a PhD researcher at the <a href=http://www.rsl.ethz.ch/>Robotic Systems Lab of ETH Zurich</a> focusing on motion control and planning for wheeled-legged robots in rough terrain. I am a PhD researcher at the Robotic Systems Lab of ETH Zurich focusing on motion control and planning for wheeled-legged robots in rough terrain. 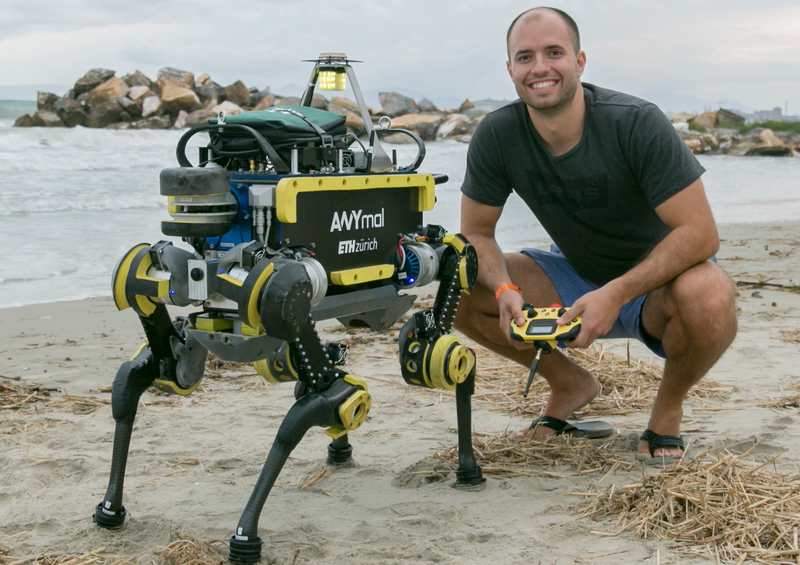 Traditional legged robots are capable of traversing challenging terrain, but lack of energy efficiency when compared to wheeled systems operating on flat environments. The combination of both locomotion domains overcomes the trade-off between mobility and efficiency. Therefore, we present a novel motion planner and controller which together enable a legged robot equipped with passive or powered wheels to perform hybrid locomotion, represented by an appropriate combination of driving and stepping maneuvers.